My neighbor, Milka Chaya Kiesel, shared a story with me that gave me goosebumps at our sons’ Chanukah party last week. Here’s another JewishMOM miracle story to light up Chanukah! Milka Chaya Kiesel grew up in a minimally observant Jewish family in California, and while in high school she suddenly made some dramatic changes in her lifestyle. Having always been a person who has a deep thirst for meaning, she became a baalat teshuva at the unusually young age of 15. Not long after that, Milka felt a burning need to move to Israel, and she made aliya at 17. 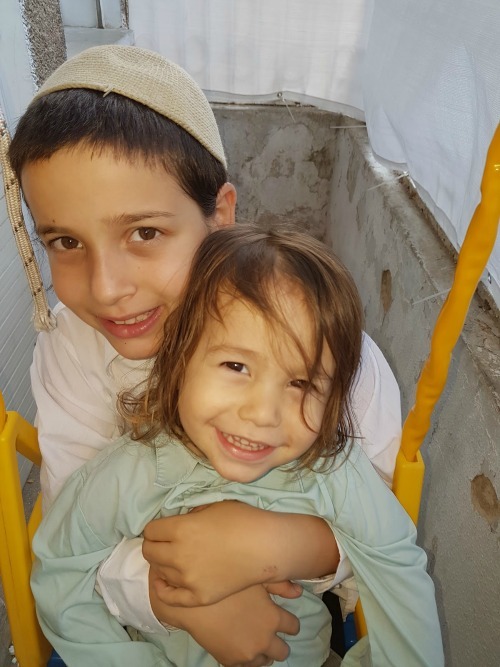 Once in Israel, Milka started studying the teachings of Rav Kook, and to this day she and her husband and 5 children have a deep connection with Rav Kook and his approach. About a decade ago, a relative told Milka something that took her completely by surprise. She informed Milka that she and her family are the only living descendants of the great Rebbe Yechiel Meir of Ostrowiec, all of whose other descendants were murdered in the Shoah. 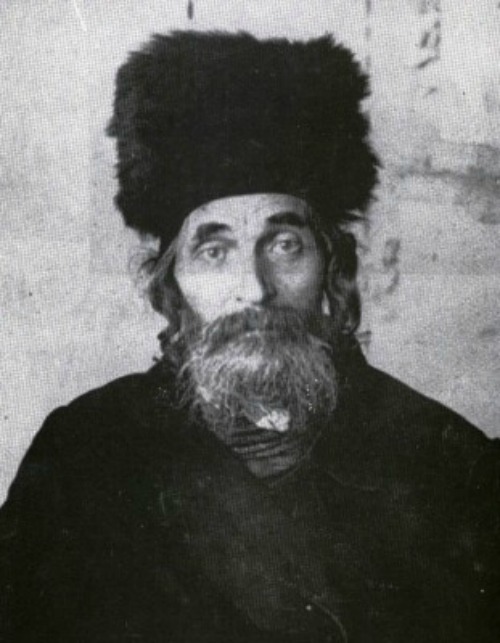 Rebbe Yechiel Meir was known for his brilliance and intense service of Hashem, and had thousands of Chassidim in 19th century Poland. She was stunned again to discover that not only did Rebbe Yechiel Meir encourage aliya, he also had an extensive correspondence with her inspiration, HaRav Avraham Yitzchak Kook. With this unexpected news from her relative, all of the puzzle pieces of her life suddenly fell into place. But the most shocking wake-up call from beyond came a few months ago when Milka was paying a visit to, of all places, a local swimming pool. Milka struck up a conversation with another woman, and in passing the woman mentioned that she has a son named Yechiel Meir. “My sons also have the middle names Yechiel and Meir. Why did you choose that name?” Milka asked. Milka’s sons, Yehoyada Yechiel (the older son) and Yoshiyahu Meir, named after Rebbe Yechiel Meir. When Milka informed the woman that in fact Rebbe Yechiel Meir does have living descendants, and they are her and her family, the woman was shocked. And what are the chances that the granddaughter of Rebbe Yechiel Meir’s devoted gabbai and one of his last living descendants would actually meet? At a swimming pool? In Jerusalem? Milka’s illustrious ancestor, Rebbe Yechiel Meir of Ostrowiec, it seems, is still making miracles, with Hashem’s help, from the Next World. Oh How they must have enjoyed watching that meeting of their descendants- from heaven, smiling down….. Very inspiring. Thank you for sharing stories like this one, as it helps us to hold on to the rope of redemption, of Torah and Mitzvoth, even though many are letting go or have loosened their grip. Ein Od Milvado. Chanuka Sameach & Chodesh Tov Umivorach. would love to hear more about how her relatives survived – and her finding out about her background – that must be one amazing story! Happy Chanukah! Hi, Hadassa… I feel that it’s an obligation to tell a holocaust survivor’s story, especially if you were asked to tell it. My grandfather Aryeh z”l was the son of the Admor’s neice, and was a young child in Auschwitz whose parents had been killed. Because he had blonde hair and blue eyes, one of the Nazi soldiers took pity on him and gave him more food than the other children (he even told him that that was the reason he did it). Sabba Aryeh’s older brother Simcha was in Auschwitz with him and repeatedly pulled out hidden gems that he had been given by their father to save them both from the gas chambers. Simcha later visited Argentina and married his niece (whom he had never before met), Rosa, who is the only one around today with all of the stories. She also has a kiddush cup and chanukia from the Admor that were given to her mother when she left for Argentina. Rosa told my husband and I about our connection to the Admor when our oldest son was born and we wanted to give the second name Yechiel, and then she revealed that we have a tzaddik in our family. We had no idea until then, and we were especially surprised because we had wanted as it was to give the second name Yechiel…but after Rosa told us, we were convinced! Hi my name is Meir Yechiel first i wanted to let you know that i am named after him. I think that my great or great great grandfather learned with him. Second i saw post regrding building an ohel over is kever i have been looking for the location of his kever where might it be. I would be interested in getting in touch with Milka. 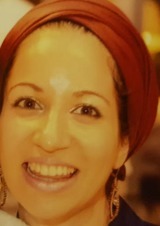 There are more descendants of the Rebbe than she may be aware of. Here in Toronto, there are many families who originate from the town of Ostrowiec. There is a fundraising effort underway to build an ohel over the Rebbe’s kever. May he be a meilitz yosher.